"LG" and "Life's Good" redirect here. For other uses, see LG (disambiguation) and Life Is Good (disambiguation). LG Corporation (Hangul: 주식회사 LG), formerly Lucky-Goldstar (Korean: Leogki Geumseong; Hangul: 럭키금성; Hanja: 樂喜金星), is a South Korean multinational conglomerate corporation. It is the fourth-largest chaebol in South Korea. It is headquartered in the LG Twin Towers building in Yeouido-dong, Yeongdeungpo District, Seoul. LG makes electronics, chemicals, and telecom products and operates subsidiaries such as LG Electronics, Zenith, LG Display, LG Uplus, LG Innotek and LG Chem in over 80 countries. LG's ad campaigns have sometimes utilized celebrities such as South Korean pop girl group Girls' Generation for their products, such as this for the LG Cookie cell phone in 2010. LG Corp. established as Lak Hui Chemical Industrial Corp. in 1947. In 1952, Lak Hui (pronounced "Lucky", currently LG Chem) became the first South Korean company to enter the plastics industry. 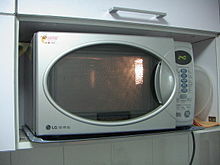 As the company expanded its plastics business, it established GoldStar Co. Ltd. (currently LG Electronics Inc.) in 1958. Both companies Lucky and GoldStar merged and formed Lucky-Goldstar in 1983. Koo Bon-moo renamed the company to LG in 1995. The company also associates the letters LG with the company's tagline "Life's Good". Since 2009, LG has owned the domain name LG.com. Since 2000, LG and Hitachi created a joint venture called Hitachi-LG Data Storage. 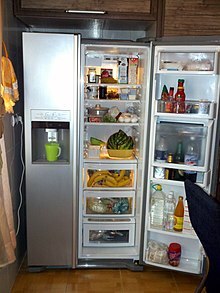 In 2001, LG had two joint ventures with Royal Philips Electronics: LG Philips Display and LG Philips LCD, but Philips sold off its shares in late 2008. In 2005, LG entered into a joint venture with Nortel Networks, creating LG-Nortel Co. Ltd.
On 7 August 2013, comScore released a report of the June 2013 U.S. Smartphone Subscriber Market Share that found LG fell to fifth place in the U.S mobile market share. The company logo of LG features a circle containing the letters "L" and "G", presented in the form of a smiling human face. The original LG corporate logo, used from January 1, 1995, until December 31, 2014, in Helvetica typeface. The new LG corporate logo in use from January 1, 2015, using a different typeface, along with a slightly darker magenta. The audio logo is used in radio commercial and TV commercial that is 7 note jingle for LG. LG has owned the LG Twins and Changwon LG Sakers. ^ "LG overview". LG corp. Retrieved 7 April 2013. ^ "Overview". LG Corp. Retrieved on 6 January 2010. "Address: LG Twin Towers, 20 Yeouido-dong, Yeongdeungpo-gu, Seoul 150–721, Korea"
^ "HISTORY - The Official Site of LG Group". www.lg.net. Archived from the original on 19 November 2008. ^ a b c Song, Su-hyun. "LG founder bequeaths principle of harmony, sustainable growth". The Korea Herald. ^ LG Display shares drop 5.4 percent on Philips stake sale. Reuters. Retrieved on 11 November 2010. ^ comScore Reports October 2012 U.S. Mobile Subscriber Market Share – comScore, Inc. Comscore.com (2012-11-30). Retrieved on 2013-07-12. ^ (in Korean) LG Electronics returns to 2nd place in U.S. handset market. Yonhap News (2013-01-20). Retrieved on 2013-07-12. ^ comScore Reports June 2013 U.S. Smartphone Subscriber Market Share – comScore, Inc. Comscore.com (2013-08-07). Retrieved on 2013-08-14. ^ "Our Brand". LG Electronics. Retrieved 20 August 2013. ^ "LG Logo: Design and History". FamousLogos.net. Retrieved 12 October 2011. ^ "LG CORP (003550:Korea SE): Financial Statements - Bloomberg". businessweek.wallst.com. Retrieved 3 September 2018. ^ "LG ELECTRONICS INC (066570:Korea SE): Financial Statements - Bloomberg". businessweek.wallst.com. Retrieved 6 September 2018. ^ "LG DISPLAY CO LTD (034220:Korea SE): Financial Statements - Bloomberg". businessweek.wallst.com. Retrieved 21 September 2018. ^ "LG INNOTEK CO LTD (011070:Korea SE): Financial Statements - Bloomberg". businessweek.wallst.com. Retrieved 2 October 2018. ^ "LG CHEM LTD (051910:Korea SE): Financial Statements - Bloomberg". businessweek.wallst.com. Retrieved 22 October 2018. ^ a b "Consumer Durable Sector Analysis | Top 8 Consumer Products Companies In India". investyadnya.in. Retrieved 20 December 2018. ^ LG.com. "Our Businesses - The Official Site of LG Group". www.lgcorp.com.